Vintage Art Nouveau lockets, pendant Locket, pattern locket, jewelry making, patina brass, Victorian jewelry. 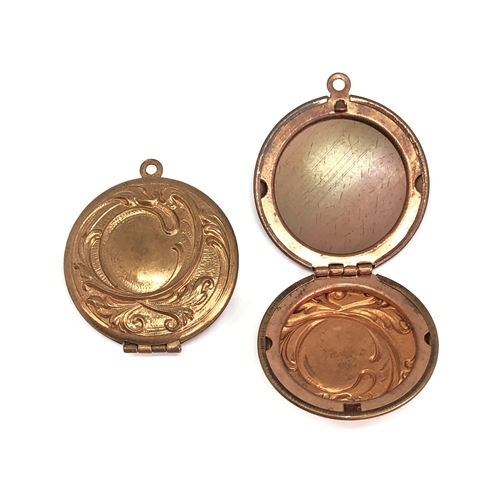 Beautiful pattern locket, bottom hinged with snap closure. Art Nouveau design and very rare. Pattern is on the front and not the back. Inside measures about 23mm and outside measures 31mm. Sold by the piece.